usher gifts | Journey to "i do"
It’s time to discuss gifts in this photo heavy post! I tried to be concise but I also wanted to squeeze it into one post so bear with me and hopefully you’ll get some ideas for gifts for your family or bridal party! First, three tips: 1) Shop early. 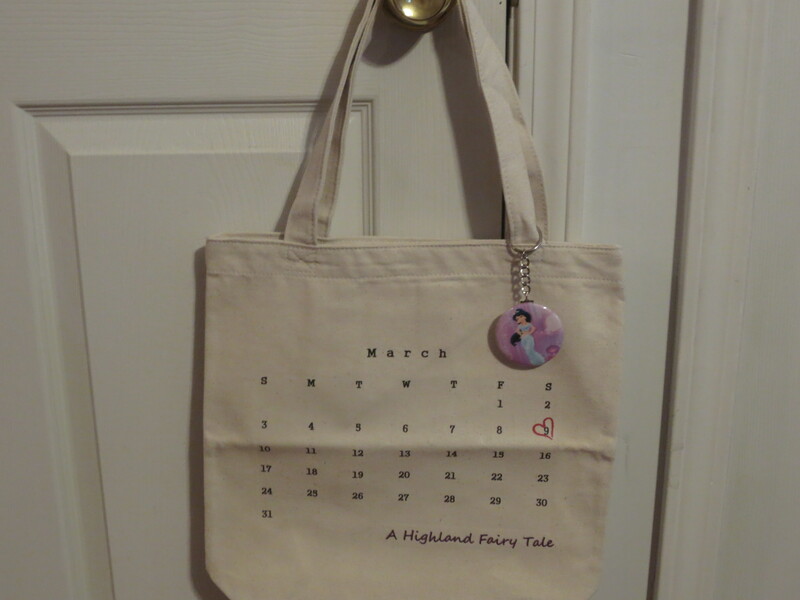 You know you’ll need gifts so no need to wait until the last month. 2) Make a list of everyone you want to thank early so you don’t forget anyone. 3) A theme can help guide your gifting. Here are the gifts we bought for those involved with the Sword Wedding starting with the ladies! Bridesmaids and Honor Attendants: Dressing for the wedding. The first decision I made was to gift them their jewelry for the wedding (including the infamous tartan necklace which is not pictured in the photo above and a pair of earrings), and from there I added a black scarf/wrap to keep them warm during outdoor photos. 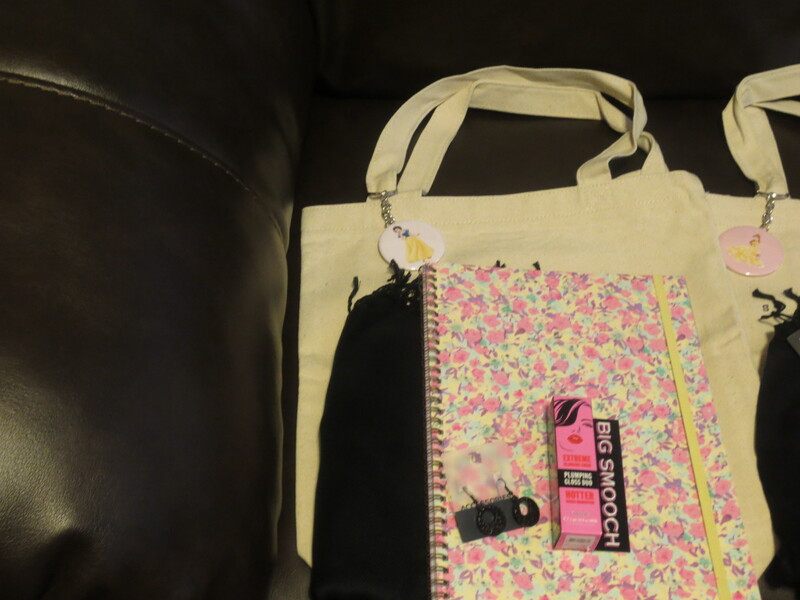 I also added a lip plumper lipstick from Victoria’s Secret, plus notebooks for the maids and mugs for the honor attendants. 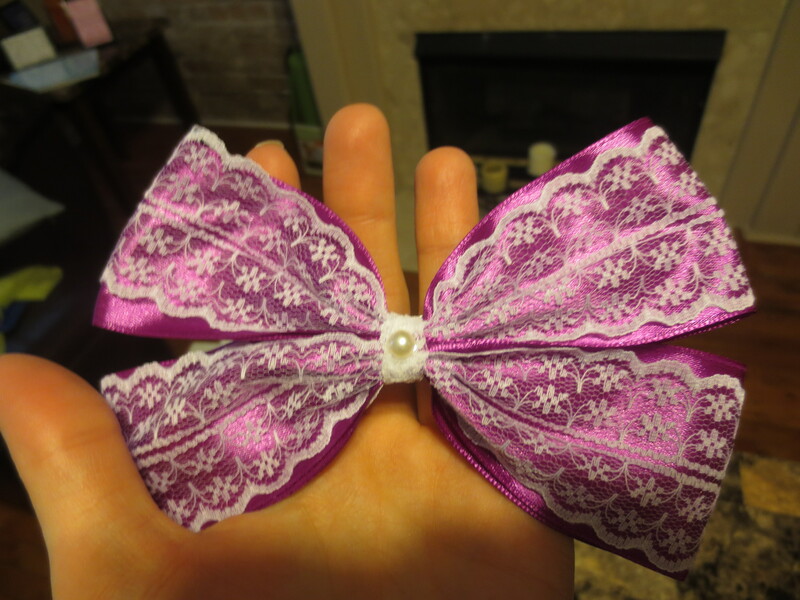 I absolutely loved them and would definitely recommend them except I didn’t care for the bows they came with, they seemed too pink and too lacy for our wedding. Luckily I already had something else in mind. 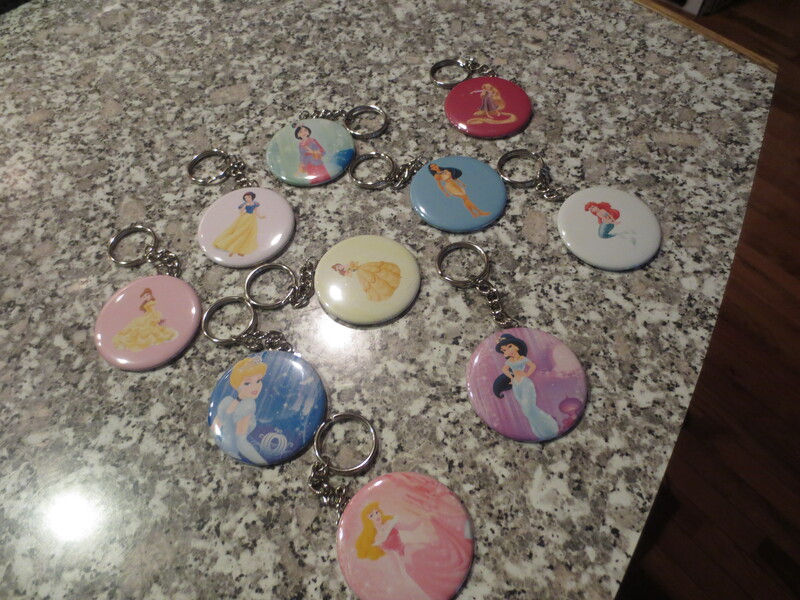 Corresponding princess key chains for each girl! Ahh, much better. I also wanted to get a little something extra for my Sister/MOH Big Eyes to thank her for all her help with our wedding so I went back to Etsy and found this bracelet that had a quote engraved on it from the movie Beauty and the Beast, which is fitting because MOH’s princess identity is Belle. 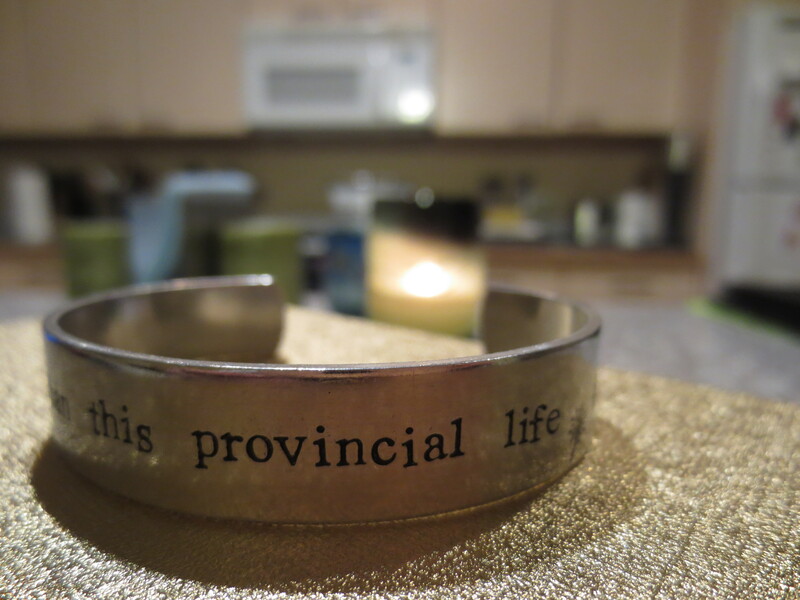 It says, “I want much more than this provincial life.” Lovely. Groomsmen: Cheers, I’ll drink to that! This group was easy. 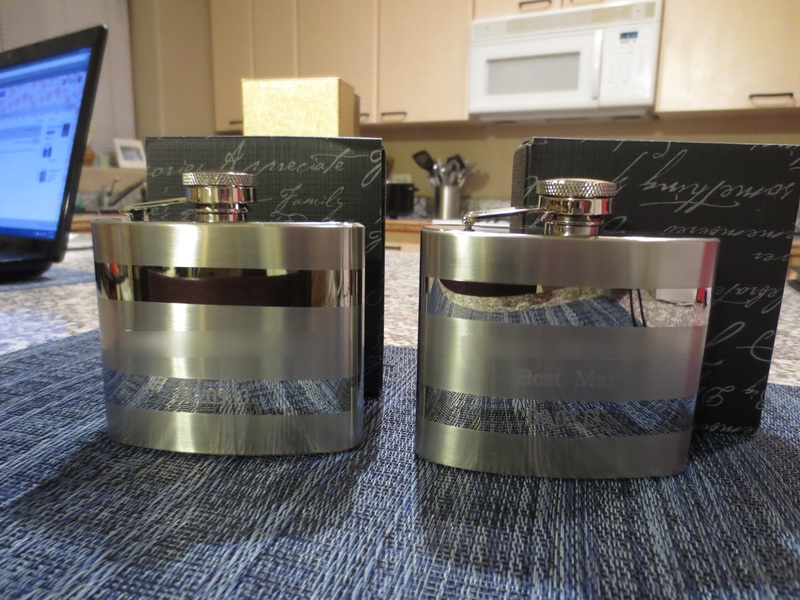 A personalized flask seemed to be the perfect gift for our favorite alcohol-loving men. I make them sound like a bunch of drunks, but that’s not entirely true. They just enjoy their libations. We went to Things Remembered for these and were thrilled with the results. It’s too blurred to tell but we added each guy’s name and the wedding date, as well “Best Man” for our Best Man. We also had to throw in a reference to the Chicago Bears as Mr. Sword is a HUGE fan. I know it seems weird that a Scotsman cares about American football as much as Mr. Sword does but he actually grew up watching NFL in Glasgow with his Dad. 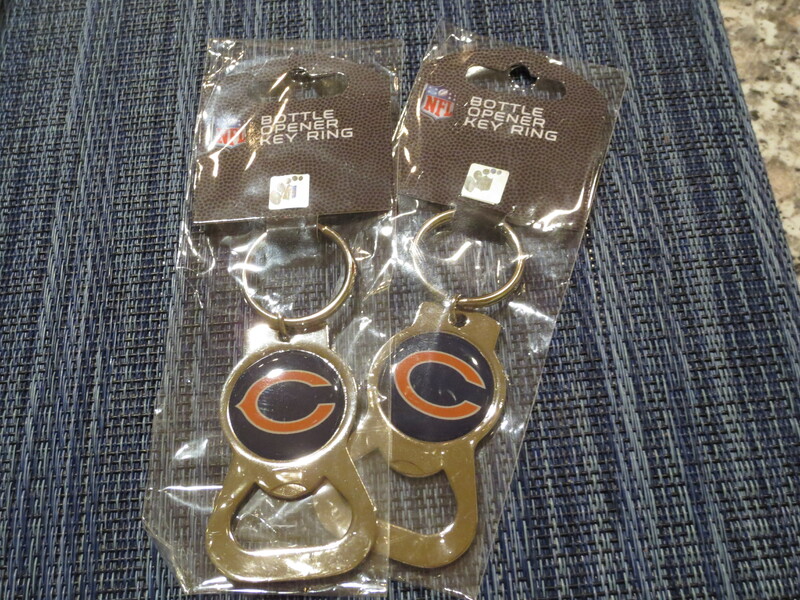 So we went with the drinking theme and got them each a Bears key chain bottle opener. Parents: New family member, more love. I was on the hunt for something different you guys! I wanted to give the parents something besides a frame. But when I went to Mom Sword and asked her what she wanted she said point blank, “A frame.” GAH! 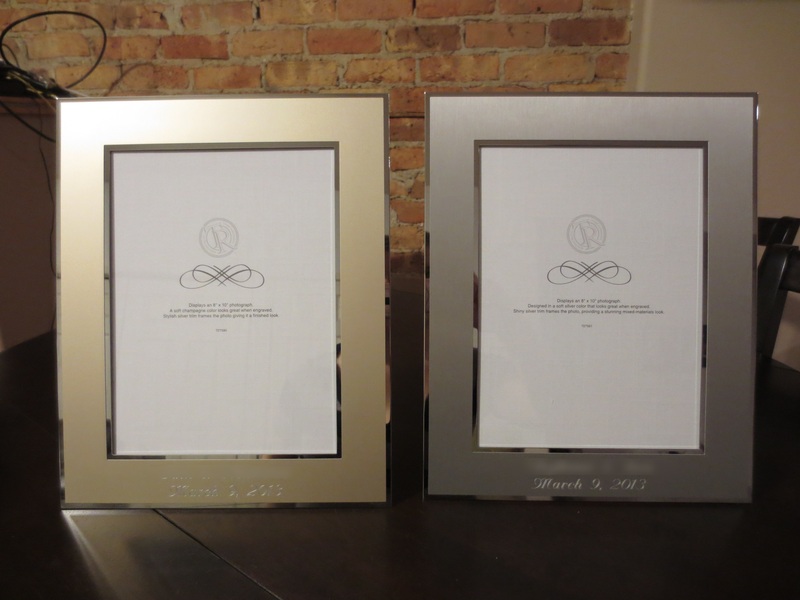 So it was back to Things Remembered with their awesome engraving skills to pick up two gorgeous frames that we will eventually be filled with wedding pictures. No I.O.U’s included, for some reason they bother me! The names have been edited out but the champagne colored frame is for Mr. Sword’s parents and has his name first, and the silver one is for my parents and it has my name first. Aren’t we clever? 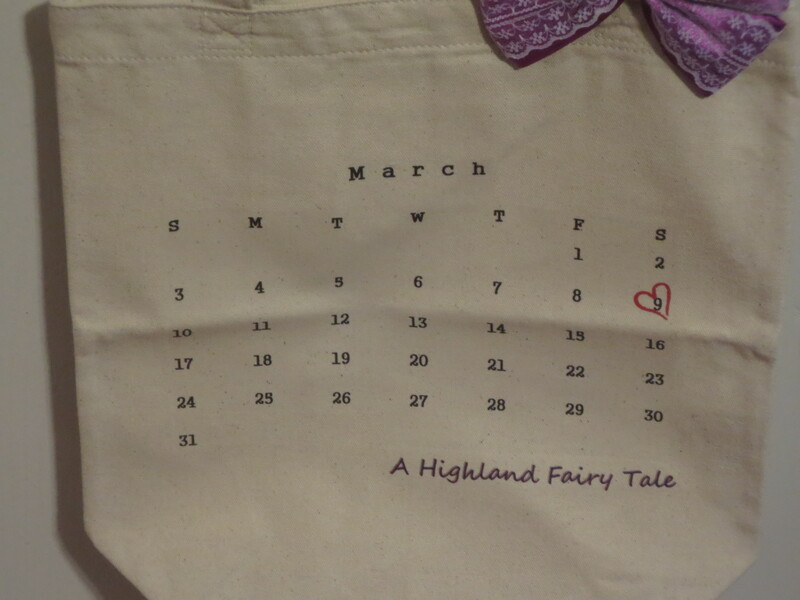 And of course we included the wedding date! To supplement the frames we found these beautiful necklaces from Etsy which say “thank you for raising the woman/man of my dreams.” My heart melted when I first saw them and I just knew they’d be perfect for our moms! Even if they hardly wear them, they’ll be a sweet reminder of the wedding day and carry such beautiful sentiment. 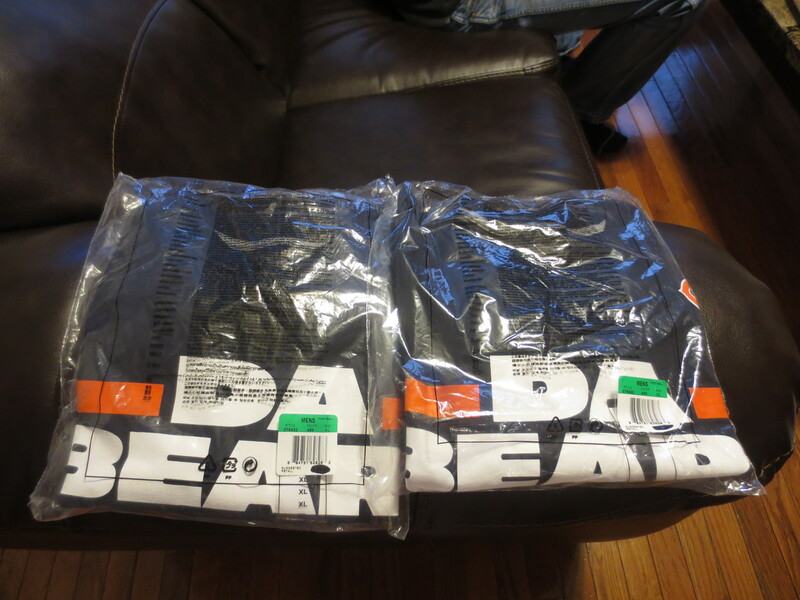 Finally, the Dads had to get a little something extra so we went back to Da Bears theme and found these t-shirts! Dad Sword is a Vikings fan through and through but he’s already worn his Bears shirt once because he likes his son-in-law that much! Flower Girl: One of a kind. Having only one flower girl made it so I could go a bit crazy on Littlest C and not worry about having to buy duplicates, so that’s what I did! We bought her a book that has multiple pages for adding photos from the wedding and for journal-ling memories and specific details as well as pockets to store the actual petals that she dropped during the ceremony. (Are you crying yet?) 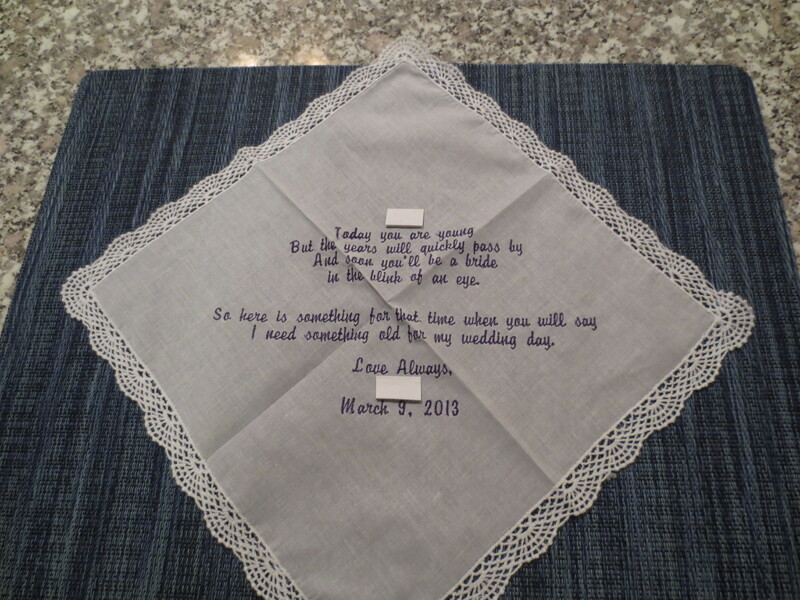 I also gifted Littlest C her wedding day jewelry like I did for the rest of the bridal party, and the best gift of all, (thank you Etsy, yes, AGAIN), has to be the personalized handkerchief i ordered for her with this inscription on it: Today you are young but the years will quickly pass by And soon you’ll be a bride in the blink of an eye. So here is something for that time when you will say I need something old for my wedding day. Cue my sobbing! 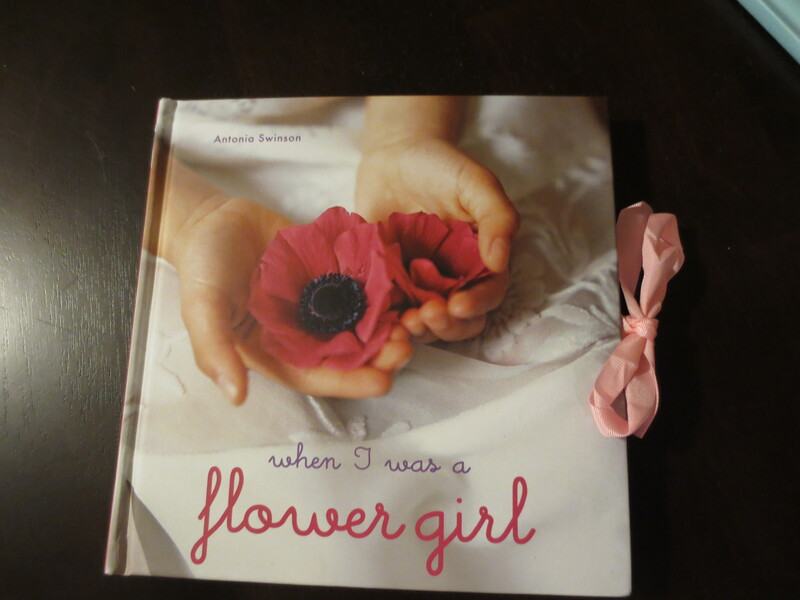 Flower Girl book can be found here on Amazon. Totally worth it! All four ushers (three cousins and nanny kid Big C) received a gift card, a movie, and of course their piece of tartan, the bow tie. For my girl cousin usher, she received her bow tie in the form of a hair clip. Unfortunately I don’t have any photos of their beautiful ties! This is getting really long so I’m going to stop with the pictures but I want to mention we also chose to thank our two readers for reading, my cousin for walking our remembrance flowers down the aisle, Boss Lady for making all of the beautiful tartan pieces, and FBIL for playing guitar during cocktail hour. 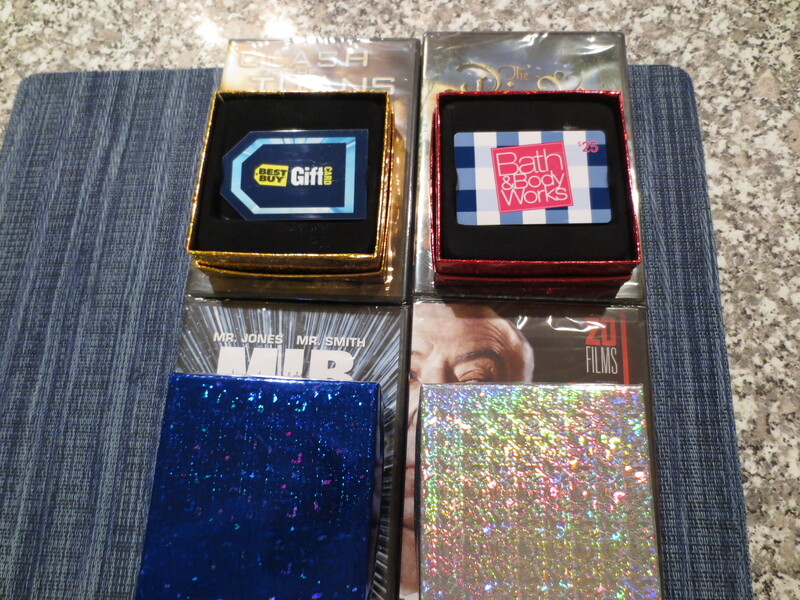 These gifts ranged from jewelry to gift cards but we definitely put thought into each and every one of them! Have you finished up buying your gifts for everyone? Any amazing gift ideas that you want to add to the list?